Peter Greenbergshould need no introduction to the readers of Savage. As the guitarslinger forsuch amazing bands as DMZ, the Lyres, the Customs and Barrence Whitfield andthe Savages he’s made his mark on some of the greatest garage/punk recordssince the mid-70’s. A couple of years ago Barrence Whitfield and the Savagesdecided to pick up the battle-axe, recorded a new record for Munster and wenton tour across the globe. When they hit Stockholm in October 2011 we were ofcourse there and decided to to an interview with Peter. It was done in 2012through e-mail. My band the WildFangs opened up for a reunited Barrence whitfield and the Savages in octoberlast year. As I understand it, it’s your first venture back into music in along time. What caused you to pick up music again and what made you stop thefirst time around? Obviously a lot ofthe music you have recorded have become, I guess, way more known nowthan when the bands actually played. An example is bands like King Salami andthe Cumberland 3 doing Barrence Whitfield and the Savages covers to DMZ recordsbeing reissued. That must feel pretty good. What are the major differences inplaying rock’n’roll now compared to when you played back in the 70s and 80s? Well, I wasn’t awareof much going on after the mid-80s until around 2007 or so when I did the firstCustoms reunion. I now consider myself “frozen in ice” during thatperiod. I cut myself off from music completely and did the business crap.So in 2007 I was like a frozen caveman revived after 25 years in ice. Icame out exactly like I was in the 70s and 80s from a playing perspective. Ihadn’t tried to “learn” anything new. We always thought we were goodin the 70s and 80s even though not that many others did. Its great that people likeour stuff. There is a greater appreciation of the “classic”stuff now. Now the Stooges and Ramones are on TV commercials! Its stilltough for us in the USA. We do well along the east coast and places likeAustin, TX but there is more of a throw away view of music here and lessrespect for the past. Its better in Europe as it was for the bluesmen goingover there in the 1960s. I guess bands like mine are the modern day blues guysheading back to Europe. So do you considerthe Savages to be your main band now and are you going to continue playingtogether? Yes. 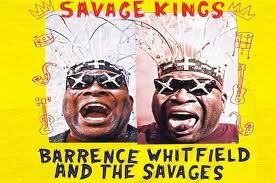 I amcommitting myself to Barrence Whitfield and the Savages at this point. We havea great band and Barrence still has it. In fact, I think he can sing andscream even better now than 25 years ago. We also all get along well and canmanage month long tours without killing each other. Other un-named bands I’veplayed with in the past would clearly kill each other if on the road for amonth together… The Savages are playing regularly although we live indifferent cities in the USA. Playing Austin, TX June 29 and 30 and aFrench festival in August. We will play the midwest USA in the Fall whilerecording our new LP. We may play Australia this Winter at Big Day Outand plan to head back to Europe once the new LP is out… I am also playingsporadically and writing songs with Mike Mooney (Manby’s Head) in Taos, NMwhere I live. How has thereception of the new album been? The new LP has donewell. Its fresh sounding with a lot of energy and purposely not a rehashingof our older approach. Its gotten good reviews and sold well. Webasically got the band together in Cincinnati in Dec 2010 without having playedtogether, learned 15 songs that we pulled together, and recorded most of themthe following week. Given our methodology, I think it came out great. Ihave high hopes for our next LP which we plan to record this Fall. We arealready playing some of the material on the road…. Munster alsoreleased “Radio Demos” by DMZ which is probably my fave DMZ record! Itconsists of recordings made in 1976. How did that happen, what can you tell meabout these recordings? Ok, now I wanna goback to the beginning. When and how did you first get into music and when didyou form your first band? I started to learnhow to play guitar whwn I was 13 in Massachusetts. My friend Paul had anolder brother who was into blues so that’s what we started playingtogether. I played guitar and harmonica. We’d wack away at it inPaul’s attic. Paul’s brother took us to our first concert in1970. It was the MC5 at Salem State Teachers College. It changed mylife. What were yourmain influences in the beginning? How old were youwhan DMZ started playing? Well, I had moved upto Boston to go to Emerson College from Cincinnati Ohio in 1975 when I was18. I had friends from High School in Cincinnati also going to college inBoston. I had played with them a bit in High School. They were MikeLewis, DMZ’s first bass player who was going to MIT and Adam Schwartz who wasDMZs first singer and was going to BU. Adam was friends with Jeff Conollywho also went to BU and that’s how Jeff learned about us. I also had afriend at Emerson who was a drummer and strangely his name was also MikeLewis. 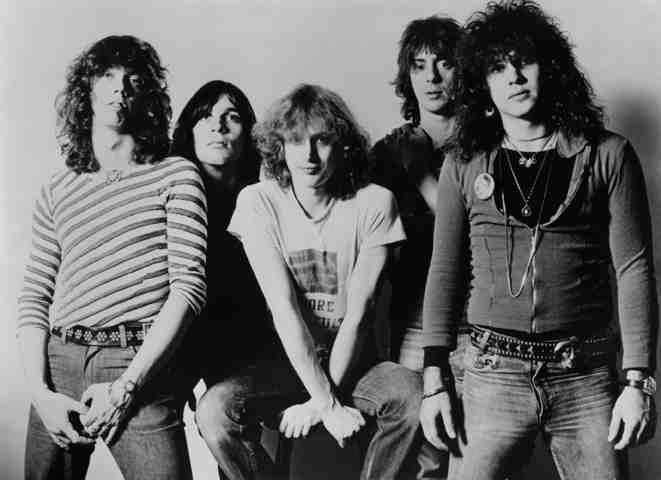 At the same time, I was also working as a volunteer at WBCN inthe Fall of ’75 and I met JJ Rassler there. He was working as an assistantfor one of the DJs. We hit it off and he started coming over to play withus too. So we started playing at our bass player Mike Lewis’ MIT frat house inthe Fall of 1975 when I was 19. When and where didyou do the first DMZ show and how long did it take to get your first singleout? We did the first DMZshow in Feb 1976 at Mike Lewis’s (our bass player’s) frat house in KenmoreSquare across from the Rat. “Adam Bomb” was the singer although MonoMan attended the show. People liked it and we were encouraged. Our firstrecord was two songs on the live at the Rat double LP. It was recorded duringthe Summer of ‘76 and came out a few months later. Mono Man was our singer andDavid Robinson from the Modern Lovers was our drummer. Our 4 song Bomp EP wasrecorded in late winter ‘77 and came out that Summer. Did you have anyvisions for the band at that point or where you happy just being in a band? Things were jumpingin Boston and NYC by then and by the time the Bomp EP came out, Danny Fieldshad pretty much sold Sire Records on us so things moved fast. Inretrospect it would have been better if it didn’t! Nowadays peopleoften refer to “the Boston scene” with the Real Kids, DMZ et al. Whendid you become aware of each other and did it feel like a scene backthen? We hit it off withthe Real Kids right away. Mike Lewis and David Robinson left in the Fall of ‘76and we replaced them with two guys who had a history playing in John Felice’sbands, Rick Corraccio and Paul Murphy. We played A LOT of shows with the RealKids including a three night stand at CBGBs with Suicide and a reciprocatingthree days at the Rat. Alpo lived upstairs from me with my wife Milissa (! )during this time and we hung out daily. The bands we liked we really liked butthere were PLENTY of BAD BANDS! When we met Icouldn’t help but notice you weren’t really happy with the Sire LP, I know youdidn’t like the sleeve for example. What can you tell me about this experienceand being on a major label? I can totallyunderstand what you mean but looking back at it I think it’s still a good albumand it’s a bit underrated. What other bands did you feel connected to inBoston, well in New york too for that matter, at the time except for the RealKids? Was the Sire LPmore or less the end of DMZ? I quit in June of1978 and headed back to Cincinnati to clear myself out and go back to school.They recruited another guitar player and did shows into the Fall of 1978 whenDMZ called it quits. How did DMZ turninto the Lyres? Jeff started Lyres inthe Winter of 78⁄79 while I was finishing up school and playing in the Customsin Cincinnati. Jeff managed to hold on to Paul Murphy and Rick Corraccio andrecruited a long time friend of theirs Ricky Carmel AKA Little Man who hadworked for the Real Kids. I saw them play in the Summer of 79 and thoughtthey were great. Little Man quit at some point and the band was in disarray.When I got my degree in June of 1980 I moved back to Boston to play in Lyres. I think DMZ isclearly part of the 70s and the lyres part of the 80s. Did you feel the timesa-changeing back then? Ok, so the Customshappened between DMZ and the Lyres. How long were you around for? Did you onlyrelease one 7”? 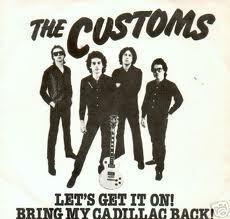 I’ve got thecompilation cd of the Customs which is great stuff. 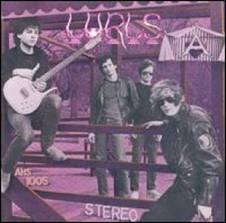 Did you join the Lyres in1980 and were they lready afunctioning band at that point? I joined Lyres inJuly ‘80 after finishing school. For the previous year Lyres were a mess.Jeff had huge turnover and quite a few pretty bad players during this time. The original band had left him in ‘79 for the same reason most peopledo… He might be the most narcissistic man on the planet who creativelyfinds ways to treat his bandmates with disrespect, probably making him feelbetter about himself, and then justifying it somehow. He is an awesome talentbut it wears you down. The ahs 1005record is legendary in garage rock circles. Was that the first record/recordingyou did with them? So when I joined wekind of cemented a lineup that would last a couple years with Mike Lewis fromDMZ and my friend from high school and Howie Ferguson from Real Kids on bassand drums respectively. We recorded AHS 1005 in the winter of 80⁄81 and theHelp You Ann 45 in the fall of 81. Howie, Lewis and I all quit soon thereafter at the end of 81. We couldn’t take Jeff’s crap anymore. What happenedthen, why did you quit? Ok, so how did theSavages come together. you and Phil were obviously from the Lyres, but how didyou find Barrence? Well, I had worked ata used record store in Boston in 1980⁄81 called Nuggets and had a bunch offriends who worked there. At some point I got fired by Andy Doherty,Nuggets Store Manager. Andy later left Nuggets to become the Savages managerand put out our first LP. A little later I quit Lyres and was in gradschool, and had started up with Phil Lenker and Howie Ferguson (Lyres) andSteve LaGrega on Sax (also from Nuggets), what we thought would be aninstrumental rock and roll band. We had begun practicing and it wassounding pretty good but something was still missing. Another friend atNuggets, Des McDonald, told me he had heard Barrence Whitfield, another Nuggetsemployee, singing at the store and I better check him out. I got together withBarrence to listen to records one night and without hearing him sing except alittle bit in my apartment offered him the job. A stroke of luck forsure! Later on Andy Doherty fired him too… I was always a bigrecord collector and had always wanted to play the Little Richard styleR&B. The closest thing I could get to it before Barrence Whitfield showedup was rockabilly or Lyres soul influenced garage rock and roll. 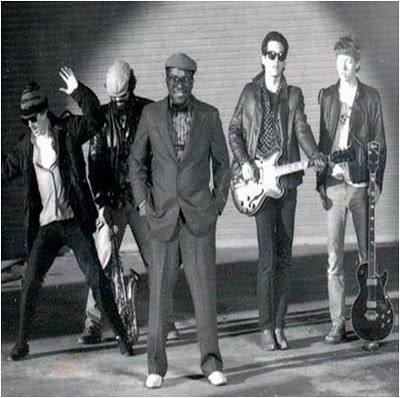 OnceBarrence Whitfield entered the equation there was lots of material that becamepossible. The Savages musthave sounded pretty alien coming out in the 80’s. How did people react to youplaying rythm’n’blues and rock’n’roll stuff? Because we approachedour version of R&B like a garge/punk band and always wanted to COMPLETELYavoid the boring “blues” crowd and the associated”schtick”, the Savages ended up playing lots of shows with punk andhardcore bands. It was a strange mix but we had the energy and could knockout most of the competition…. Ok, I’m prettypleased with that, one last question: What’s next in store for peter greenberg?New records, tours, savages… Please fill me in what we can expect in the nearfuture?